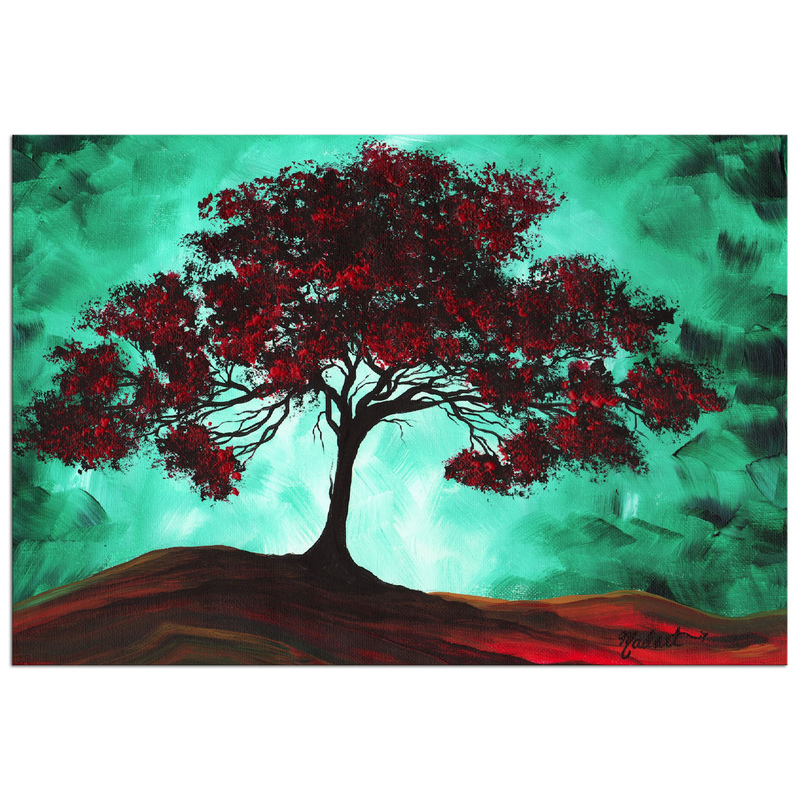 The 'Passion Fire' contemporary landscape artwork is a whimsical scene of a huge red tree in partial black silhouette, spanning the turquoise colored metal canvas that makes up the evening sky. 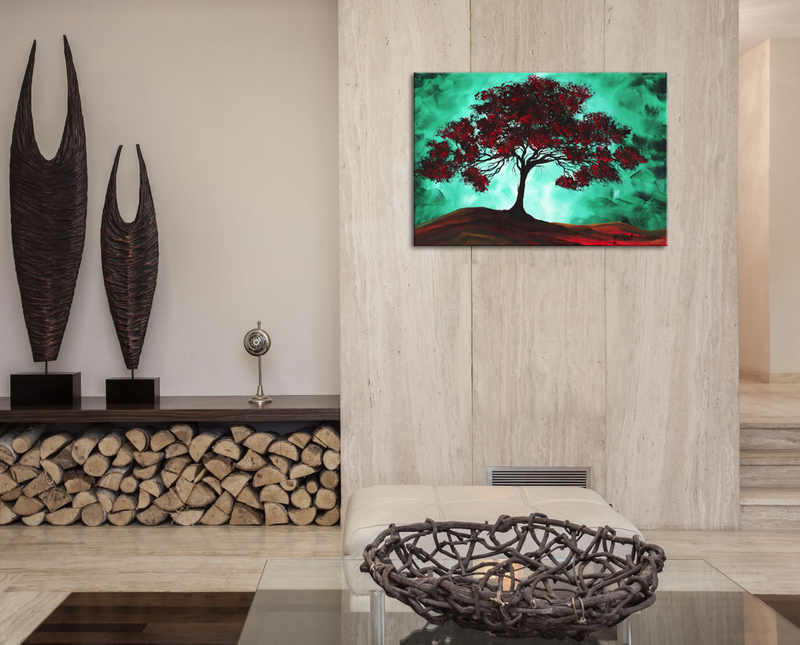 The unique combination of trendy turquoise (or nearly sea foam green) combined with a deep red and black make the 'Passion Fire' tree painting a bold, vibrant accent piece for your wall. The striking colors, attractive satin/matte finish and durable metal medium work beautifully in a living space, office, home, restaurant, hospitality, or restaurant display. Megan Duncanson is one of our newest artists to join the Modern Crowd family, with a collection of designs exclusive to our line of fine metal giclees.